A breath of freshness kisses your skin and reveals your deepest desires. Its alluring fragrance is the vivid expression of contemporary femininity. 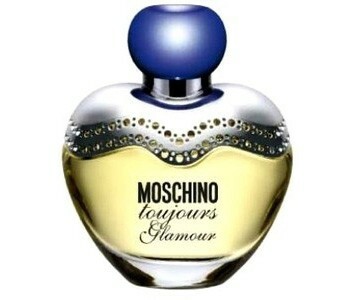 It is the key that unlocks the secret door to the extraordinary world of Moschino, where reality borders fantasy. Toujours Glamour is based on composition of Glamour edition, but refreshed with red currant and green violet leaves in charge of this mischievous elegant edition spiced with cardamom. A heart of this fragrance blooms with innocent white lily of the valley and intoxicating jasmine with a hint of bitter almond. A base intertwines heliotrope, benzoin and sensual musk. It is recommended for evening wear.